Charlie and Jimmy at Rivington Barn. These two retired gentlemen can be found most Sundays at the top barn and at the lower barn during the week. Between them they have over 100 years of motorcycling expierience from when they were both fifteen to present time so are never short of conversation, if you can`t see them on a crowded afternoon chances are you would hear Charlie`s voice over everyone else as he tells a tale about his younger days when he was quite a lad, Jimmy is more sedate but once he starts to talk about his racing past you can only admire the guy. Both still ride, summer and winter and have more than one bike, Charlie has a 1959 Norton Dominator that he has owned from new and also a Honda Benly that he bought from Jimmy recently, Jimmy is very fond of his MZ and also owns a 1976 Kawasaki 400 twin. 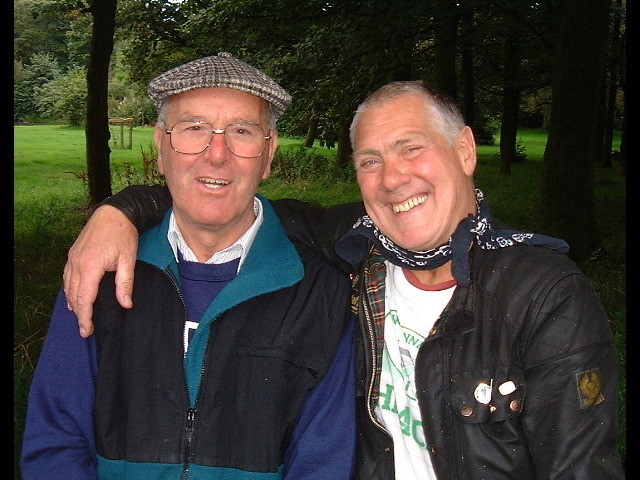 These two know everyone and are two of the friendliest bikers you`ll ever want to meet, one can only show respect. Update.... Sadly Charlie passed away January 2016, most probably riding with the angels now? Jimmy I'm told is still hanging on well into his 90s. Over one hundred years of motorcycling expierience. 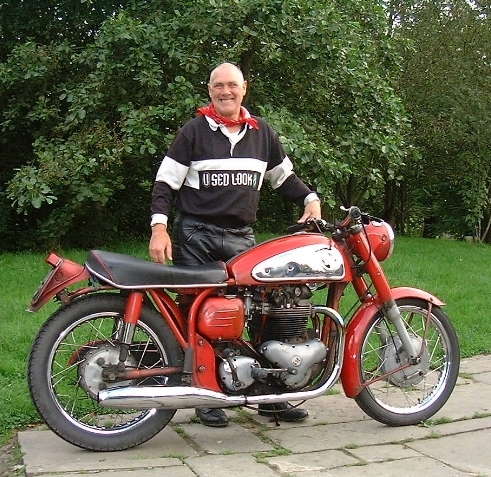 Charlie loves his Norton, it has British character and drips a little oil. 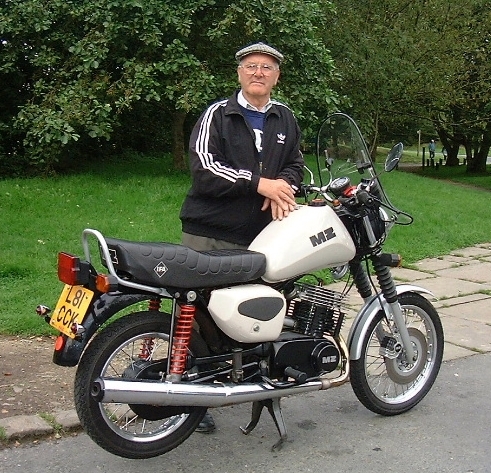 Jimmy proudly shows off his MZ 251, this is the latest one of four that he has owned.